Rapper Cannibal, he of the ‘Street Hustler’ fame alongside fellow rapper Sharma, has made his mark in the gospel music industry since turning over a new leaf. The Mombasa-born rapper stunned the entertainment scene last year when he announced that he had seen the light. Apparently, his long hiatus from the scene was occasioned by his struggle with sprituality. “The reason why I went silent is because I was contemplating getting saved. I have been fighting with my spirit for a while now. My spirit wanted to know God but at the same time, I wanted the worldly things. I even went ahead and wrote some gospel songs,” said Cannibal in August last year. 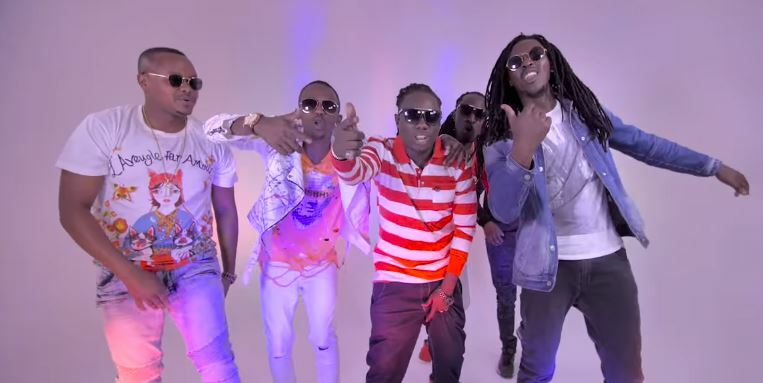 To this effect, Cannibal has teamed up with various gospel hitmakers for the remix of ‘Kwanii’, including DJ Sadic, Holy Dave, Kris Eroh, Weezdom, and Stonee Jiwe. ‘Kwanii’ was originally done by Bizzy B. The remix was produced at DJ Sadic’s Genius Records.